South Africa made history in Sweden, Malmo, where 23 young South Africans obtained their Masters of Science Degrees at the prestigious United Nations World Maritime University (WMU) in the fields of Maritime Law and Policy, Maritime Education and Training, Maritime Environment and Ocean Management, Maritime Safety and Environmental Administration, Port Management and Shipping Management and Logistics. The group of 23 left South Africa a year ago on a South African Maritime Safety Authority (SAMSA) facilitated scholarship with the Department of Higher Education and Training (DHET) as a key partner and sponsor in the development of maritime skills. To celebrate the achievements of all students graduating, the Minister of Higher Education and Training, Dr Blade Nzimande and the Deputy Minister of Transport, Ms Sindisiwe Chikunga paid tribute to the achievements of the Class of 2014. The Minister noted that the milestone was quite opportune as it happened when the 2050 Africa Integrated Maritime (AIM) strategy was adopted by the Heads of States at the African Union in January 2014. The development of these high level skills will support and meet the present maritime skills needs of the country as well as the continental maritime development agenda. He also noted the recently launched Operation Phakisa which has prioritised the Oceans Economy. It is estimated that the maritime economy has the potential to contribute up to R177 billion to the country’s Gross Domestic Product and can create more than 1 million jobs by 2033, hence the conscious efforts by government to invest in maritime education and training in the entire value chain from foundation, to technical vocational education through to the high level knowledge of research, development and innovation. Of the 118 graduates from 47 participating countries, Gareth John Courtois from KwaZulu Natal achieved a distinction and obtained the Chancellor’s award. The students displayed enthusiasm and eagerness to tackle the challenges facing the maritime industry development in South Africa. A strong need has been identified for South Africa to establish a dedicated Maritime Institute that will offer a range of maritime courses for South Africans and the continent. 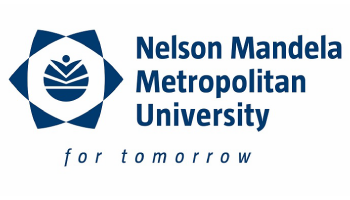 Professor Derrick Swartz, the Vice Chancellor of Nelson Mandela Metropolitan University (NMMU) has recently signed a Memorandum of Understanding with the World Maritime University, which will see both institutions collaborating in offering similar programmes in South Africa. The World Maritime University has agreed to support NMMU to become an apex maritime institute for Africa. The agreement will culmiunate in the launching of the South African International Maritime Institute (SAIMI) on the 12th of November 2014. As an ongoing commitment to the development of maritime skills, another group of 13 South Africans commenced their studies at the World Maritime University in September 2014. The graduates arrived back in South Africa on the weekend of the 8-9 November 2014.